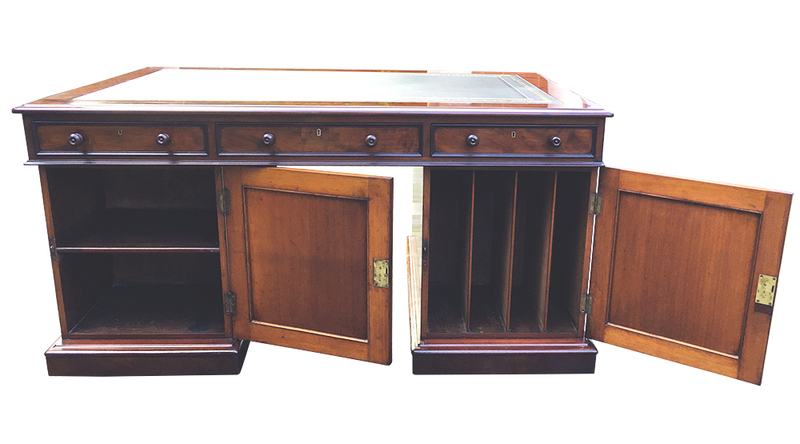 We believe this handsome antique desk to be Scottish in origin and is made from well-figured mahogany timbers throughout. It has recently benefitted from professional cleaning and traditional restoration including french polishing and waxing. It has a replacement black hide writing surface with gilt and blind tooling. The top is fitted with three drawers to the front and reverse. We believe this handsome antique desk to be Scottish in origin and is made from well-figured mahogany timbers throughout. It has recently benefitted from professional cleaning and traditional restoration including french polishing and waxing. 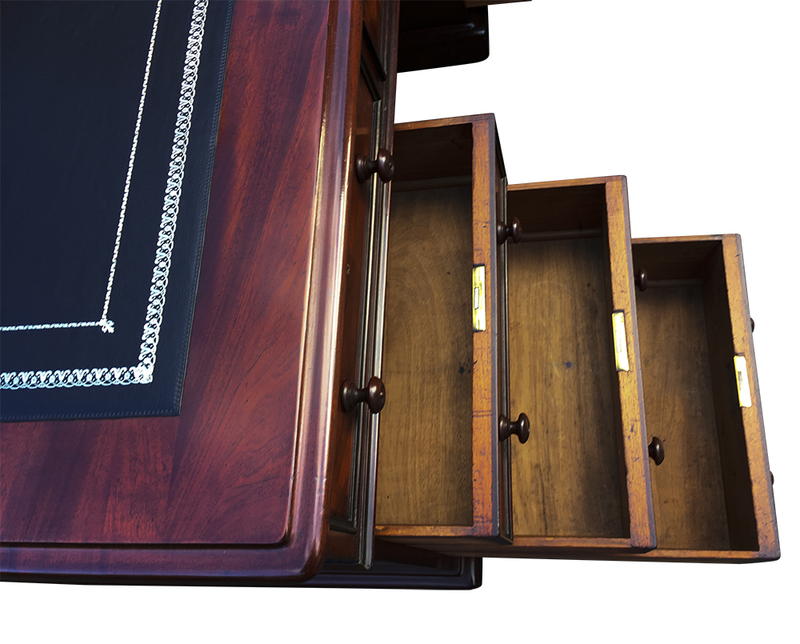 It has a replacement black hide writing surface with gilt and blind tooling. 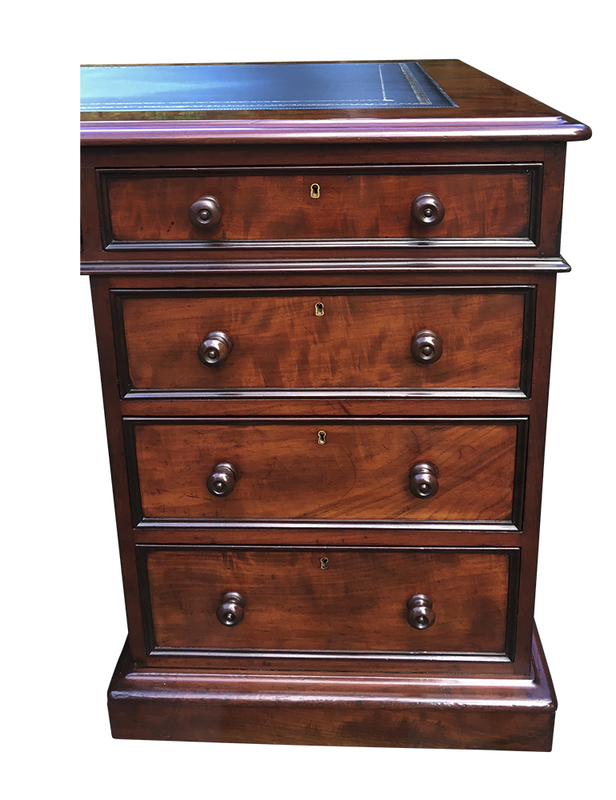 The top is fitted with three drawers to the front and reverse and is surrounded by a band of mahogany with a thumb moulded& edge. The pedestals are each fitted with three drawers to the front. 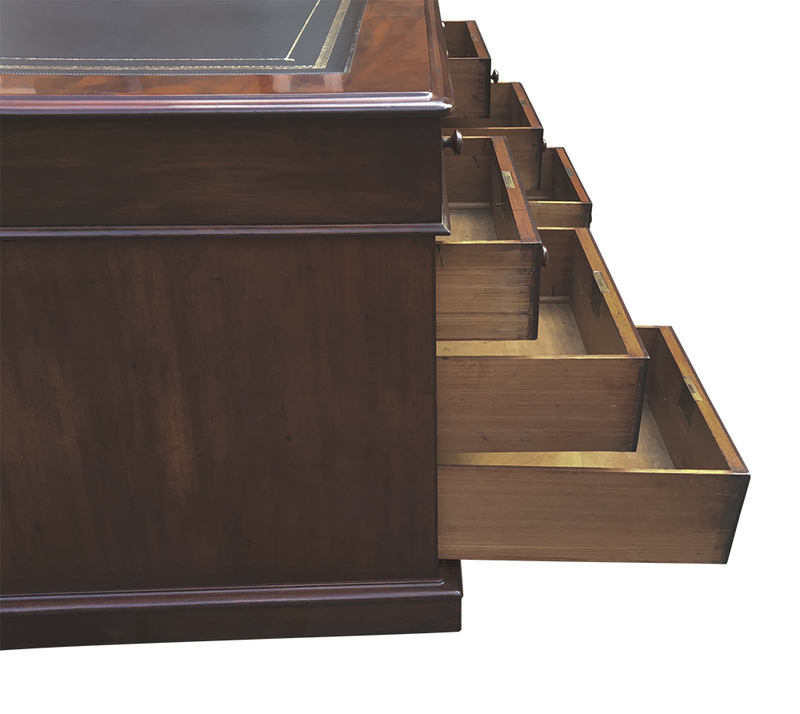 All drawers are mahogany lined with hand cut dovetail joints. They have the original brass locks, ogee mouldings to the front edges and turned wooded pull knobs. The reverse of the pedestals are fitted with and a cupboard with shelf on the left and a cupboard with 'folio slots' on the right . The pedestals stand on plinth bases with hidden castors for ease of movement. As with most pedestal desks it is made in three sections for ease of installation. This fine quality late Georgian desk would make a stunning centre piece in a traditional or contemporary office or library.